deviantART is one of the largest collection of designs and designers out there. One of the most interesting categories in deviantART is Photoshop .PSD Files where you can download free .PSD Files from the collection and use them either for learning, inspiration or using them in a project of your own. PSD Website templates is the first step in designing a website after that comes converting the designed template from PSD to HTML/CSS working template to be used afterwords in creating and developing the complete website. The benefit of having a free PSD Website template is that you have a base template that you like and then make some changes to match your needs and thoughts either in color or in layout. 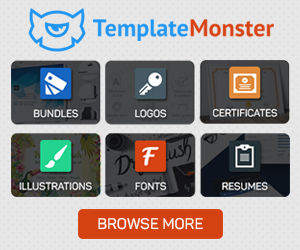 In this article I compiled a list of Free PSD Website Templates on deviantART, but you must pay attention to the license before you start using the templates.